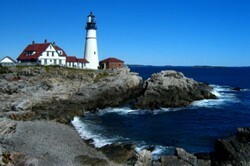 Join Pete and Pam Wright on April 30 and May 1, 2010 for a Wrightslaw 2- Day Boot Camp in beautiful Portland, Maine. The Maine Parent Federation is sponsoring this event. Two-day Special Education Law and Advocacy Boot Camps (12 hours) are more intensive and personalized. Take advantage of the networking opportunities…register today! This entry was posted in Seminars & Training and tagged Conference, special education training by Wrightslaw. Bookmark the permalink.